Note: Heavy duty locks not included. Bar measures 16 inches in length, 2.25 inches in width. All cuffs measure 2.25 inches in width and adjust between 6 inches and 10.5 inches in circumference. 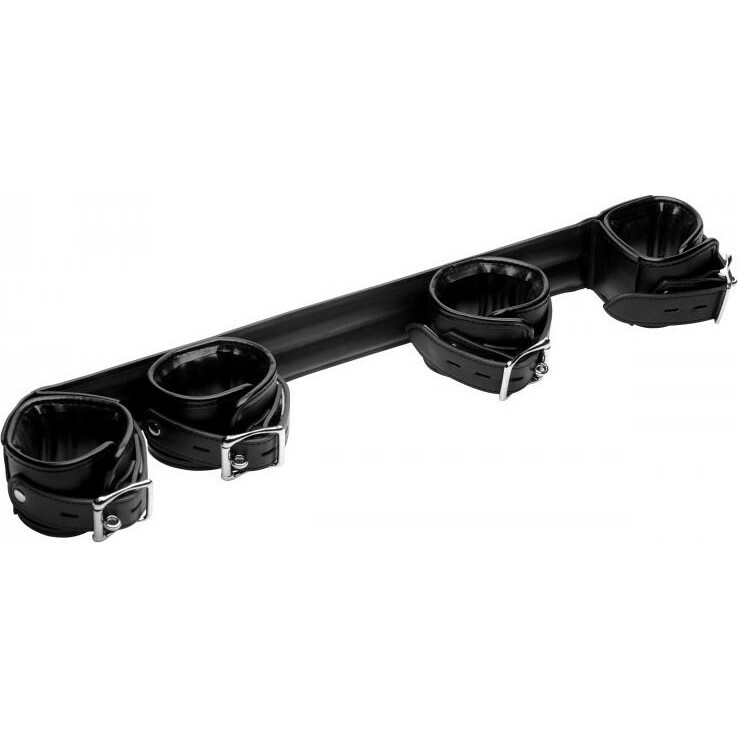 Strict Deluxe Rigid Spreader Bar System. Review "Strict Deluxe Rigid Spreader Bar System"